Yesterday was Anton Chekhov's 153rd birthday. David loved Chekhov, and in fact the bedroom bookshelves are still full of biographies and various translations of the Russian master's plays, which David was using to write his last, unfinished play. 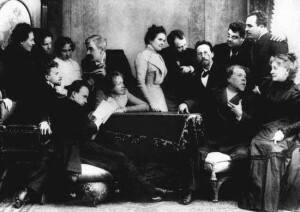 David was very pleased to have been compared more than once to Chekhov, whose work he translated. 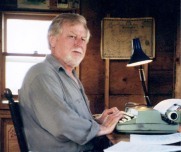 David worked with a literal transcription provided by Russian scholar Donna Orwin to write the first Canadian translation of The Seagull, which opened in June of 1977 at the Tarragon Theatre. It's been praised as one of the best English-language versions of that play, and has gone on to be produced many more times. (I wish I'd been able to see the New York production that starred Laura Linney, Ethan Hawke, and several other notable actors.) 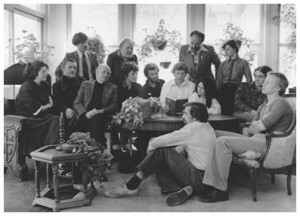 David also translated one of Chekhov's one-acts, Swan Song, about an aging actor, for a Soulpepper production that starred William Webster. I will leave you with a short quotation from The Seagull, from the character of the young writer, Treplyov, who begins by comparing himself to the more established writer, Trigorin: "Trigorin's worked out his own method, it's easy for him...He describes the neck of a broken bottle glittering on a dam and the black shadow of a mill wheel -- and there's your moonlit night. But with me it's the shimmering light, the silent twinkling of the stars, the distant sounds of a piano dying on the still, fragrant air...It's excruciating. (Pause) Yes, more and more I've come to see it's not a matter of new or old forms. A man should write without thinking of form at all. He should write straight from the heart..."